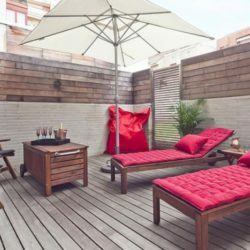 A pool is a nice piece of luxury to have and perfect for the hot summer days. 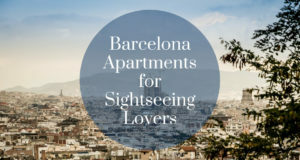 Barcelona-Home offers a few wonderful apartments with beautiful pools for relaxation. 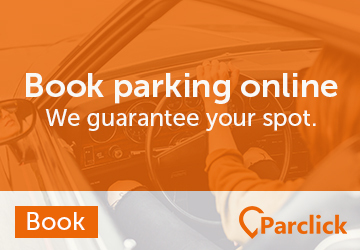 There are both private and shared pools available. 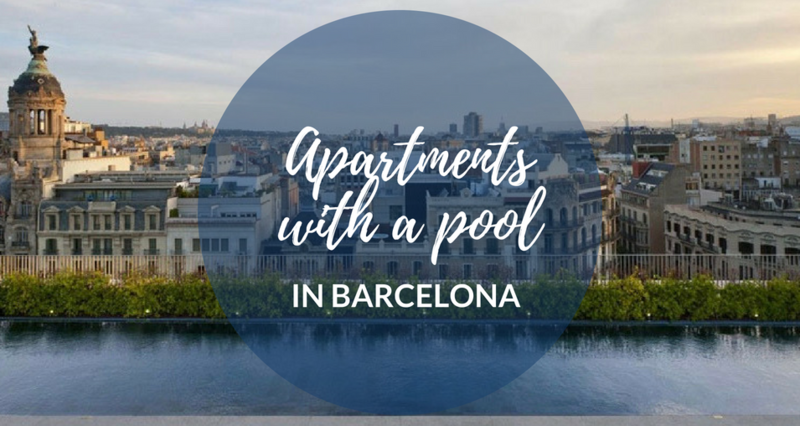 For those who want a bit of privacy and an own swimming pool, this might be the ideal place to relax and unwind after spending a day sightseeing in Barcelona. 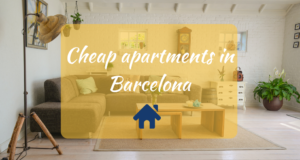 Besides that, the beach can be extremely crowded in the summer holidays and if you really want to take a break from the buzzing city this might not be the good solution for you. 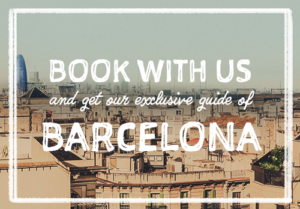 There is nothing better than reading a good book while sunbathing by the pool in your personal paradise in Barcelona. 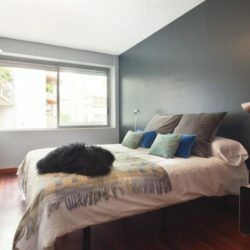 This two-story apartment, situated in a quiet and pleasant residential neighborhood, is surrounded with many parks that provide enjoyment and relaxation to its visitors. 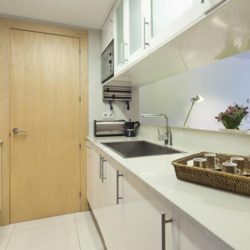 It is well connected with major public transportation, including the metro green line L3, which will take you to all desired areas of the city in a few minutes. 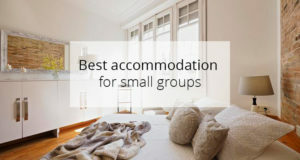 With a private and intimate terrace and a residential swimming pool, this is a good place for groups or large families. 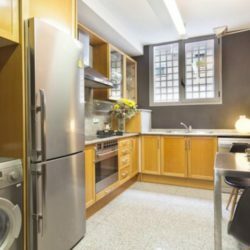 This spacious and modern apartment is ideal for families who want to stay for a while in Barcelona, as well as for people coming for work reasons. 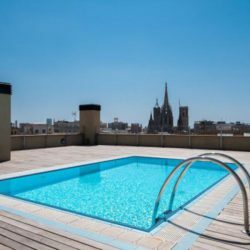 The building has a large communal terrace, where you can relax at the pool with the breathtaking view of the historic Gothic Quarter. 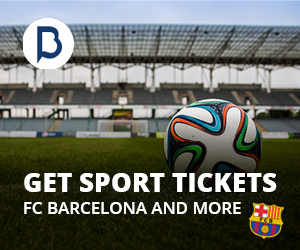 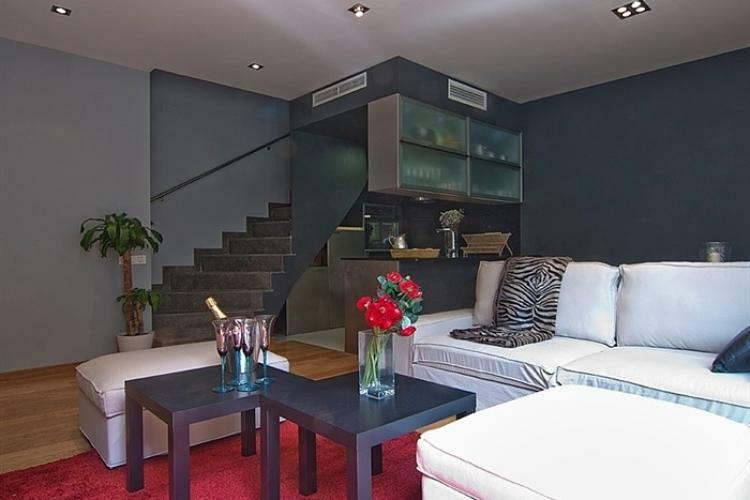 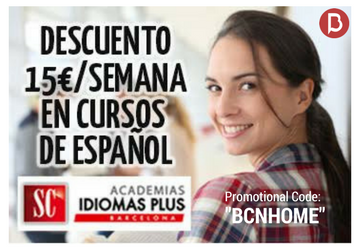 This high-quality property guarantees you an unforgettable stay in Barcelona. 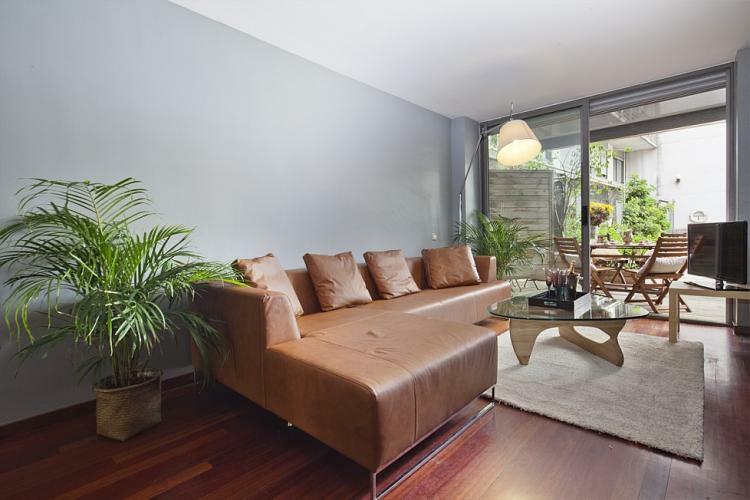 This property is located in an unbeatable location, right in one of the most famous avenues of Barcelona, Portal del Angel. 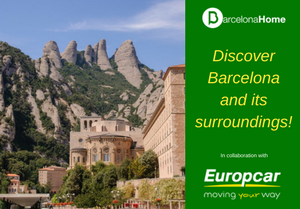 You will find everything from shops of big firms to restaurants of all kinds, as well as being just a few minutes away from famous places such as the Basilica of Santa Maria del Pi and the Barcelona Cathedral. 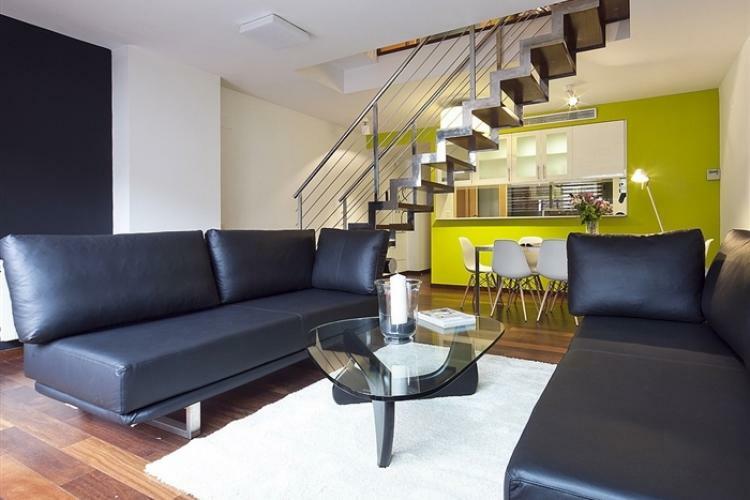 If you want to enjoy the city with your family, this is your apartment! 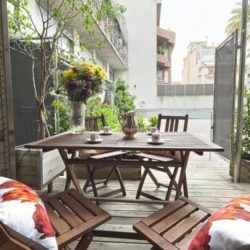 As it is located in the district of Gracia, near the famous Park Güell, you will be able to visit the city easily, and at the same time enjoy your quiet space. 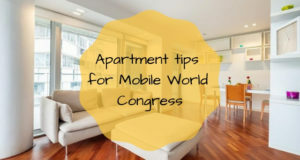 The modern and simple decor gives it a special charm, and the open distribution with lots of natural light, gives a great feeling of spaciousness. 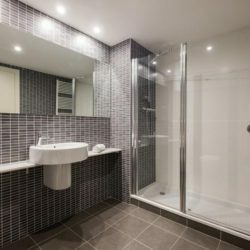 The building also has a lovely swimming pool where you will be able to recharge, or simply relax on the terrace equipped with cozy sun loungers. 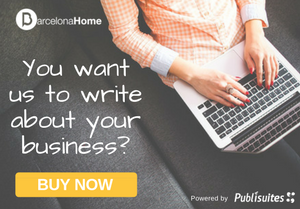 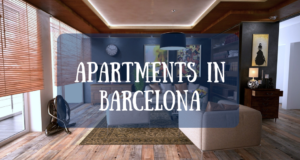 If an apartment isn’t what you’re looking for, you can always check out some great hotels here in Barcelona! 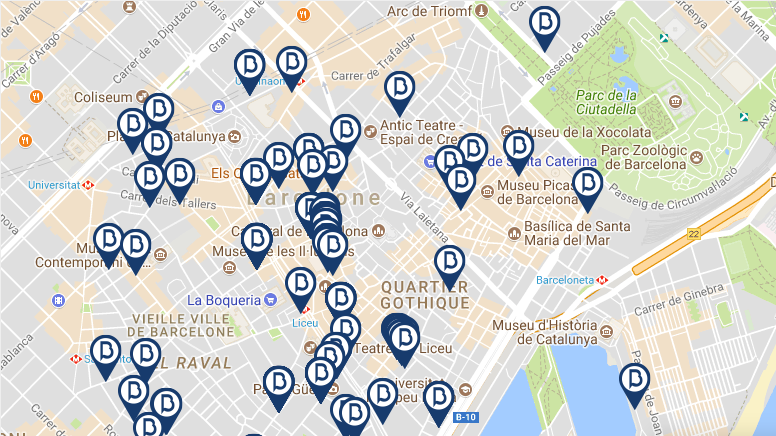 Take a look at all the hotels in the city!